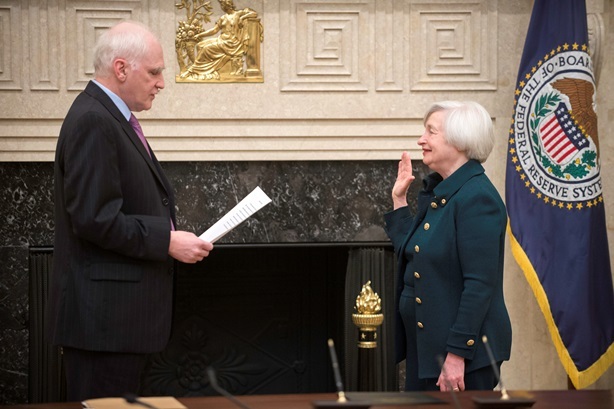 The first woman to lead the Federal Reserve officially took office this week. Janet Yellen succeeds former Fed Chair Ben Bernanke who is now retired. Yellen’s entrance onto the big stage comes at a critical time. Her biggest challenges will be stabilizing the U.S. economy and reducing unemployment. The former Fed Vice Chair has expressed great concern about the economic consequences of unemployment and strong conviction in the Fed’s ability to stimulate job growth. Yellen also inherited a long list of incomplete changes required by the Dodd-Frank Act to strengthen financial regulations. She is expected to make her first public appearance next week, when she delivers the Fed’s twice-a-year report on monetary policy to House and Senate committees.